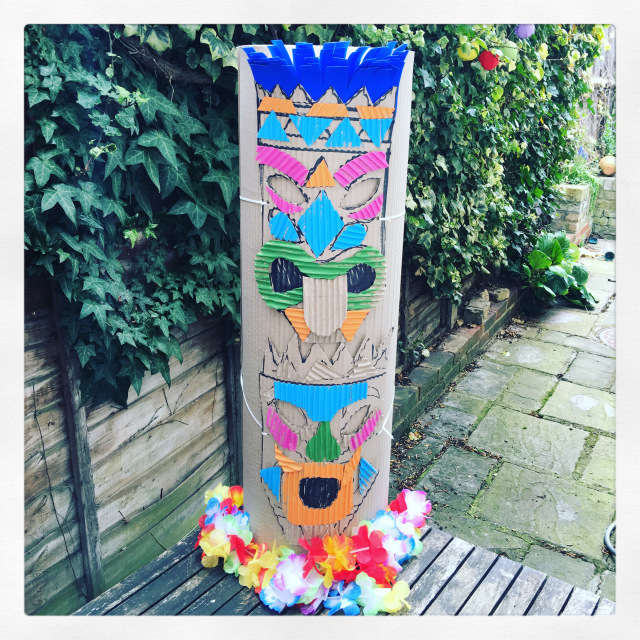 This month our resident craft expert from Captain Cookie Crafts shows us how to enjoy this wonderful summer weather by bringing Hawaii to your homes. 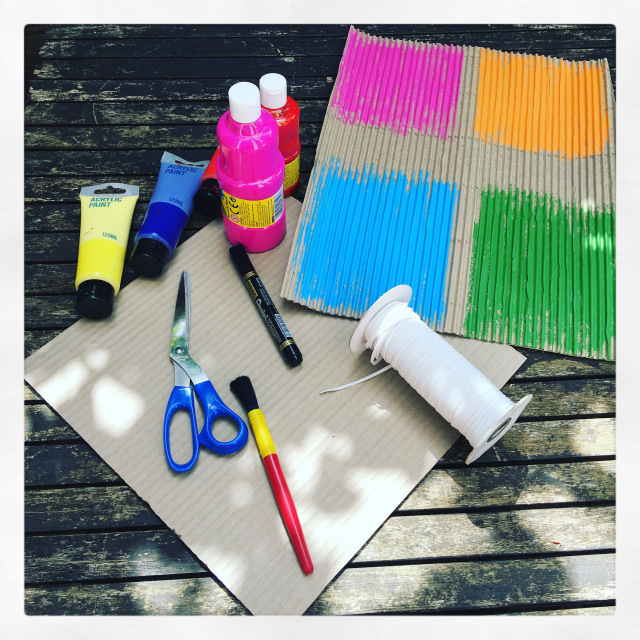 Paint a square of cardboard in four different vibrant colours. If you have corrugated card use the waves side as this will give a wooden texture when finished. 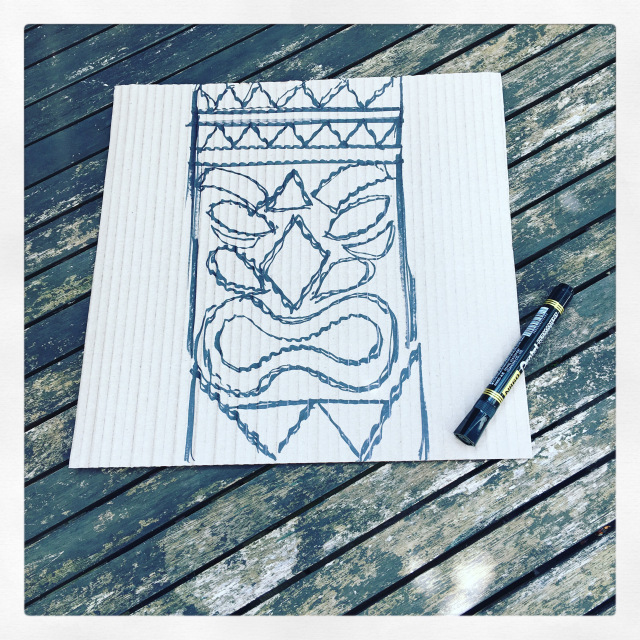 Then on another piece of card size approximately 17cm wide x 30cm long draw in black marker a tiki face mask. 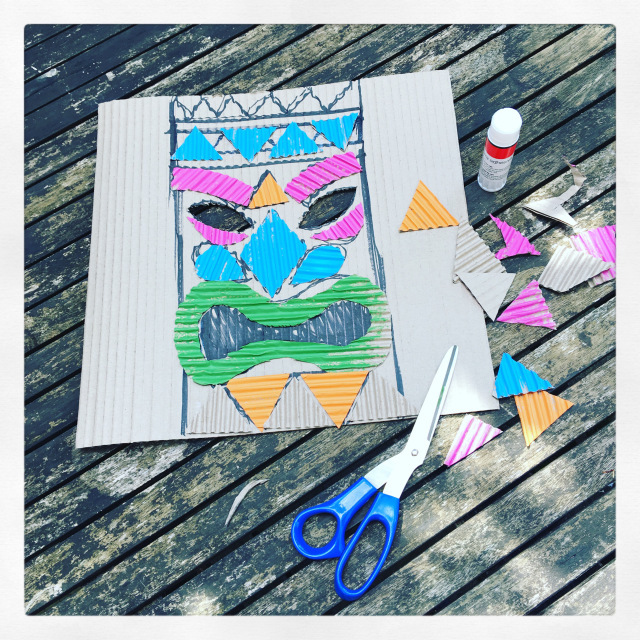 Cut out of the painted coloured card in different shapes relating to your mask. The shapes don’t need to be exact as this makes it more real. 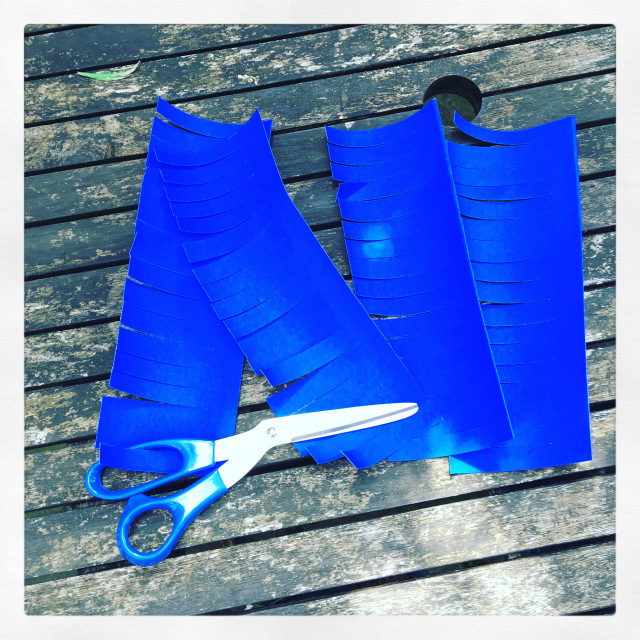 From your coloured paper cut 4 x 17cm long strips and cut into them to give a hair effect. Glue them slightly staggered on the back of the mask. You can now add two small holes to the sides of the mask for your elastic cord. For smaller children you can tape a lolly stick to the bottom. 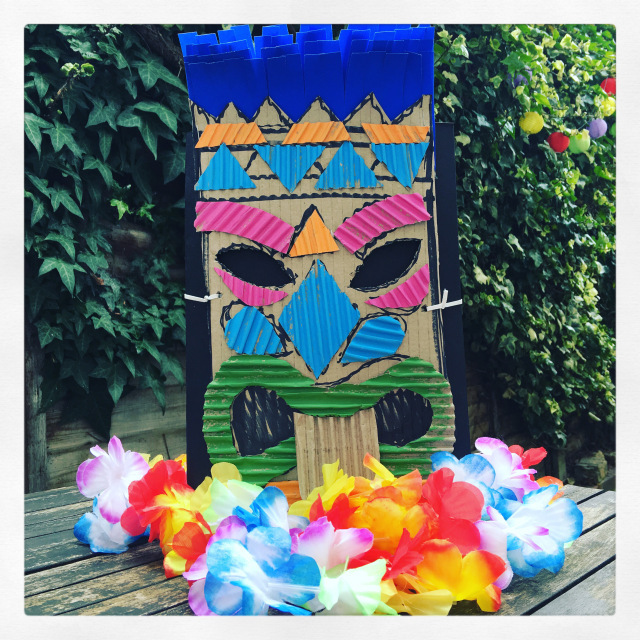 Add your leis flower garland and if you have time make a second or third mask in a slightly different design and you can create a totem pole. Perfect for a summer BBQ! 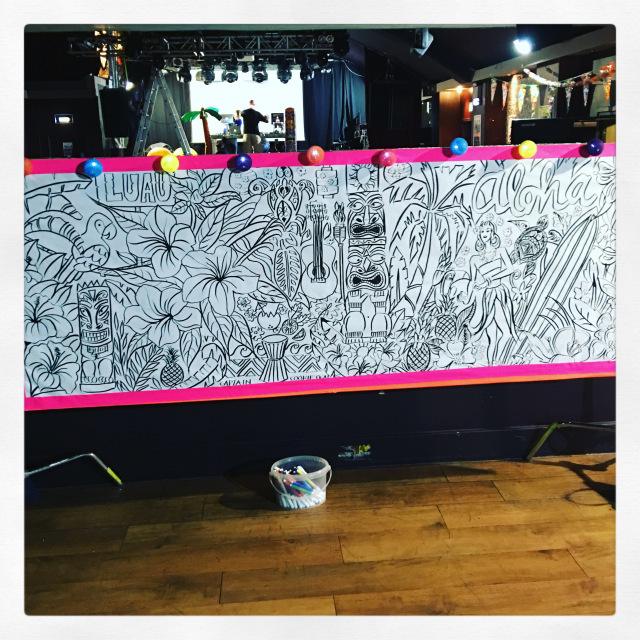 If you are having a Hawaiian children’s birthday party, don’t forget that your Happy Monkey Smoothies and Captain Cookie Crafts Hawaiian colouring mural – perfect for walls, floors or table tops – are available to buy through Etsy.